When Virgin Voyages announced last year that the cruise line’s first ship, to debut in 2020, would be for adults only, it surprised many in the industry. Cruises are typically marketed to families and boomers. Recent years have seen cruise ships add wild theme park-like attractions onboard, ranging from multi-story in-suite slides to go-kart tracks to indoor skydiving. Families are big business in the industry. Marketing the no-kids move as “Adult by Design,” Virgin Voyages, a joint venture between Richard Branson’s Virgin Group and private investment firm Bain Capital, looked to fill a void in the market. Virgin Voyages CEO Tom McAlpin wasn’t shy about saying why the company made the move, pointing to their own market research showing demand for such offerings. But it now looks like McAlpin might’ve been a bit too loud in pointing to the adult-only designation as a key point the company would use to distinguish itself. Viking Cruise Lines recently confirmed that all of their cruises are now limited to those 18 and older. When the luxury cruise line known for their river cruises launched ocean cruises in 2015, it adopted the 18-and-older policy, but river cruises remained family-friendly with guests 12 and older welcomed on the ships. The new rule covers all Viking cruises. Speaking to Travel Weekly, Viking senior vice president of marketing Richard Marnell explained that while the cruise line previously had some “flexibility” with the minimum age rules, guests on the ships, which are typically marketed to those 50 and older, appreciated a child-free environment. Viking ships are typically smaller than the those of family-friendly cruise lines like Royal Caribbean and Carnival. Instead of merry-go-rounds and zip lines, Viking’s sleek Scandinavian-designed ships offer a more subdued cruising experience with educational lectures, afternoon tea service, and live classical music. Other cruise lines have dabbled in the adults-only cruise option for some time. P&O Cruises, owned by Carnival, announced earlier this year that it would soon roll out its third adult-only ship, a refit of the formerly family-friendly Aurora. U by Uniworld, a new river cruise line focused on millennials that launched last year, had age restrictions on both minimum and maximum ages, banning anyone over 45. The maximum age restrictions have since been removed, but the no-minors policy remains. 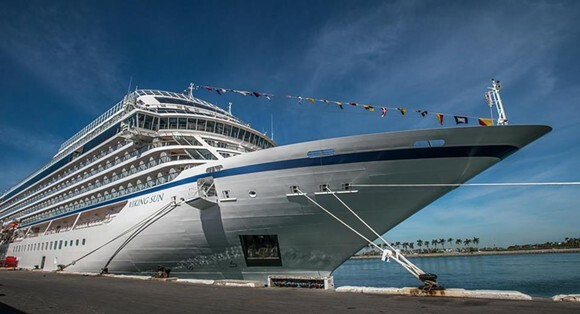 Viking’s new age policy is now one of the strictest in the industry, but with so few children on their ships already it’s unlikely the company will see in any negative financial repercussions due to the move.